If you took all the Gaelic Surnames out of Ireland – what would be left? Today we’re looking at Viking, Norman, Galloglass and Planter (English and Scottish) names. Let’s take a few examples using one of our Readers – Patricia Clarke (thanks, Patricia J ). Patricia gave me six of her family names: Byrnes, Clarke, Halpin, Leonard, Martin and Rafferty. While I may be COMPLETELY incorrect with the specifics of Patricia’s actual family – we’ll use them for illustration! The Melting Pot of Ireland. Patricia had the surname “Halpin” on her list. When found in Ireland, this name is typically of Norse origins. Gradually, the native Gaels learned to fight back and through intermarriage the Vikings were subsumed into the Irish culture and DNA melting pot. Names such as Cotter, Dromgoole, Doyle, Jennings, Lappin, Higgins, McLaughlin, McManus, Halpin, Swan, Grimes, Sweetman, Storey, Hendrick, O’Rourke, Cosgrave, Kitt, Broderick, Kirby, Hewson, Dolphin and Coppinger would all be modern-day Irish surnames of Viking descent. At this stage, most of those names would be considered “normal” Irish names. Maybe you see one of your names here? The Normans arrived in Ireland in 1169 at the invitation of a deposed Gaelic king, Dermot McMurrough. Looking at Patricia’s names – there is one of specific Norman origin – Martin – one of the more common names in Ireland today. Initially, the Normans kept their own identity, but became subsumed into gaelic culture over subsequent decades. Norman descendants today can be recognised by their surnames such as Condon, Bermingham, French, Butler, Barry, Power, Prendergast, Barrett, Plunkett, Roche, Burke, D’Arcy and Cogan. Other norman names begin with Fitz (from the Norman for son) include Fitzgerald, Fitzgibbon and Fitzmaurice. Patricia’s family surname of “Martin” probably came to Ireland around this time. One of the more famous Martin families were one of the “Tribes of Galway”. Like to add your Norman surname to our list? Just signup for your free weekly Letter from Ireland by clicking here. – and we’ll let you know how to join in the fun. After the arrival of the Normans in Ireland the Irish Chieftains needed to halt their advances –the Norman’s arms, armour and tactics were superior to anything the Gaelic Chieftains had. They turned to the Gallowglass or ‘foreign Gaels’ – a band of elite warriors from the Hebrides Isles of Scotland who were of Norse/Scottish descendancy. The first Gallowglass arrived in Ireland in 1259 and these mercenaries were soon in demand from the warring Irish Chiefs. The McCabes and MacSweeneys were so successful that their clans transplanted completely to Ireland while others such as the MacDonalds, MacNeills, MacSheehy, McCoys and MacRorys maintained their lands in Scotland as well as establishing new territories in Ireland – especially in the Ulster area. English and Scottish Planter Surnames. From the time of Henry VIII – the English administration took an active interest in making Ireland a more “civilised” place. One of their strategies was to transplant large numbers of Scottish lowlanders and English border natives (with their protestant culture and farming methods) into areas of good land in Ireland displacing the Gaelic lordships of the region. Plantation of parts of Ireland started in the 1550s and lasted until 1714. During this time Ireland took in between 150,000 and 250000 English and Scottish immigrants (the population of Ireland in 1700 was about 1 million). They arrived as adventurers, tenants, people seeking a better life/escaping religious persecution or as payment for soldiering. Most remained distinctly apart from the Gaelic Irish – maintaining their own protestant cultur. Others such as 10000 of Cromwell’s soldiers were paid with land grants. Most of these were single men and married with the native Irish women. There is, of course, a whole story here about land displacement, rebellion, religious and racial persecution – but we won’t be going into that here. Instead – let’s focus on the surnames. English and Scottish border surnames are distinctly different from Irish and Scottish highland surnames. With Gaelic surnames, the person’s lineage is to the forefront (MacCarthy = son of Carthaigh OR O’Carroll = of the Carrolls). English surnames tend to be mostly occupational (Smith, Cooper, Wright etc.) or related to a place (Churchill, Harland, Hall, Wood etc.). Patricia gives us the surname of Leonard – a common English name. But, is it a “planter” name? Gaelic names are often associated with specific territories for hundreds of years – and have often moved as extended families. This makes it easier to talk about where in Ireland a Gaelic surname comes from. With English “planter” names – there is rarely such a family movement context. Research depends on tracing the records of individuals. Through the 19th century the of Anglicisation of Gaelic names took place. This often resulted in Gaelic names being translated to a similar English a name. My own Irish name is O Coileain – which becomes Collins when translated to English. Other confusing examples are O Laithbheartaigh which translates in some places to Laverty and some other places to Armstrong. A final example would be Clifford – if this is for a family from Kerry it is almost always a Gaelic family – anywhere else in the country it would be an English planter name. That’s the end of our trip through the melting pot of surnames that belong to so many people from this Island – all Irish, but with so many stories behind the individual surnames. If you could answer this, and a lot of people would be grateful,….Where does the Name Rudden originate in Ireland. Hi Paul – I have put a note on the surname Rudden at http://www.youririshheritage.com/the-surname-ruddenrodden/ – Mike. Hi Mike, I was wondering if you or had information about the irish surname Guidera. Rudden = Ó Rodáin, a Co Donegal surname. This whole article is based on the premise that the names listed by Mike are foreign. Lets go through them one at a time…..
1 Halpin. He says its Norse. NO. Its pure Irish, derived from Gaelic alp ‘lump’. Ó hAilpín. 2. Cotter. He says they are Viking. NO. A pure Irish clan DERIVED from a Norse personal name. Mac Oitir. 3. Drumgoole. YES and NO. Its an IRISH toponymic from a place in Co Louth. They are possibly Norse but we do not know for sure. 4. Doyle. NO. Meaning ‘descendant of ‘someone’ called Dubhghall’. Yes Dubhghall is a personal name meaning ‘Viking’ but that does not mean they are Vikings/Normans. Recent DNA evidence firmly plants them in the typical mid Leinster Irish modal. 5. Jennings. YES and NO. Most are Mac Seoinín of Connacht and therefore Norman. Jennings of Cavan/Monaghan/Down/Armagh are NATIVE Irish. From the Norse personal name Jen but by blood Irish. Mac Seinín. Some are English but rare. 6. Lappin. NO. Lappins are IRISH Ó Lapáin of Donegal & Derry. 7. Higgins. NO., NO, NO. Ó hUiginn is an Irish clan of Co Sligo. Descended from Niall of the Nine Hostages. Meaning ‘descendant of the Viking’ this is used humorously. DNA suggests an Irish origin. Higgins is also a variant of Hagan in Co DOWN. Pure Irish. Some are English, a diminutive of the English personal name Hick. 8. McLaughlin. NO, NO, NO. I have to laugh out loud at this point. Meaning ‘son of Lochlainn’ a personal name meaning ‘from the land of lakes/fiords’. Its a PERSONAL name and NOT an indicator of ETHNICITY. DNA evidence links them, as does Irish history, to the Ó Néill clan. 9. McManus. NO. Totally Irish. A branch of the Maguires of Fermanagh. A small amount are of a different IRISH clan related to the O’Connors in Connacht. Some are Scots in east Ulster. A branch of the Colquhouns, themselves of ancient IRISH origin. 10. Swan. More difficult to work out. Some may be Sweeneys. Some are English derived from Norse swein ‘servant’. They are most likely Norse. 11. Grimes. NO. Most are Ó Gréacháin/Grehan of Connacht and Longford. Some are Ó Gormleadhaigh/Gormley of DERRY, TYRONE. A small amount are English in Munster who are polygenetic derived from either Old English grim ‘fierce, grim’ or Old Norse grimr. 12. Sweetman. YES. Tradition (and little else) points to them being Norse. HOORAY! 13. Storey. YES and NO. Most Storyes in Ireland are a Scots/English Border clan who derive their name from the Norse word storr’large, strong’. DNA suggests a common Border identity. Some Storeys are from Aberdeen and ‘thought’ to be of Norse origin. 14. Hendrick. NO. Mac Annraic. Although the name derives from a Norse form of Henry, they are IRISH, an offshoot of the Wexford McMurrough clan. 15. O’Rourke. NO, NO, NO, NO, NO. I have spent a lifetime on this one. Although derived from a Norse personal name, the Ó Ruairc/O’Rourke clan of LEITRIM are IRISH. Also a small unrelated IRISH clan of WESTMEATH. 16. Cosgrave. YAWN, getting a bit tired of this. NO. Cosgrave is pure IRISH. SIX unrelated GAELIC origins for this surname in Ireland. 17. Kitt. NO. Most Kitts are variants of Irish Ó Ceit/Kett of CLARE, GALWAY. Some are English meaning ‘son of Kit’, a pet form of Christopher. 18. Broderick. NO. Another old chestnut! Six unrelated clans all derived from a Norse personal name but no Norse DNA. Another origin, though very rare, is Welsh meaning ‘son of Roderick. 19. Kirby. NO. Irish Ó Ciarmhaic. A clan of Co LIMERICK. Occasionally for Mac Geirble/Kerribly of Connacht. Rarely English, from one or more places so called. 20. Hewson. NO. Five distinct Gaelic clans in Ireland all meaning ‘son of Aodh’ (Anglice Hugh). 21. Dolphin. NO. English, but derived from a Norse personal name. Does not make them Norse. 22. Coppinger. YES, HOORAY. A pure Norse surname! Associated with CORK and KERRY. I wont spend time on this since the Gallóglaigh were for the most part Gaelic and blood-tied to their Irish brothers. They can hardly be classed as ‘incomers’. If the above article centres around non-Gaelic names in Ireland and then indicates, for the most part, native Gaelic surnames, I cannot see the point in it. I will say it again, the Vikings/Norse left very little of their DNA in Ireland. They came, they kinda conquered, and then were kicked out. End of story. Wishful thinking mate, we are as mixed up as any other race, you are wrong on the Norse surnames for a start! My family surname is Allen. My family lived in the Ringaskiddy and Loughbeg area as far back as I can trace, (1707). A basic internet search tells me that Allen is of English or Scottish origin, but one of the Norman names in your blog, (Fitzmaurice), has me curious. The first name Maurice is very common in my family tree all the way down to my Great Grandfather Maurice Patrick Allen who left Ringaskiddy in the 1860’s for New York. Can you shed any light on this for me? Thank you in advance – I appreciate it. Hi Matthew – when found in Cork, the surname Allen is usually of English origin (in other parts of the country it can be an anglicisation of certain Gaelic names). Yep – Maurice is/was a very popular first name in Ireland – often shortened to “Moss” or “Mossie” – specially in Cork and Kerry. The Fitzmaurices were of the Munster Fitzgerald clan – and were prevalent in West Kerry. So, I would’nt make a direct connection myself – but, you never know! Mike. I have been fortunate enough to meet mr. Patrick Dillon from Toronto, Canada who shared a lineage document which brings us the Dillon family back to the Fitzgerald, Blabazon families back to 1172. It is a hand written document which is very well done with all the descendants names. We also found that the Dillon family in the 1600 were given a large parcel of land by the King it was called Dillon Country and was in their names for approximately 300 years. 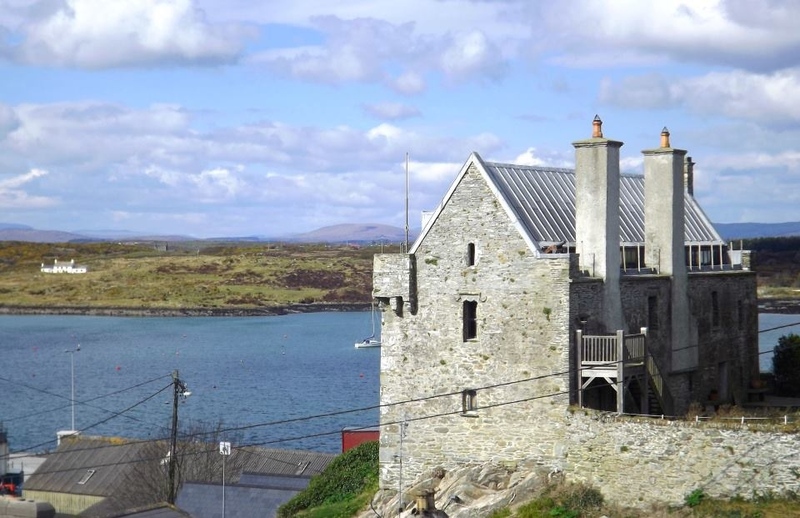 This castle is supposed to be still being used and in good shape in Ireland. Can someone confirm this story. I live in Ontario, Canada and my lineage brings me back to Ireland but I am missing some links which would connect us to our ancestors, Where did the Dillons originate from before Ireland. I will be checking my e-mails to see if anyone is interested in sharing some Dillon genealogy information. My wife comes from the Dillons and we visited Ireland last fall. I decided to write a little history for her family, maybe 20 pages. The stories I have gathered, plus maps and pictures will soon exceed 200 pages. Murdered page in London, duels, randy churchmen, generals, Joyce, a look at Breton roots, where the false Aquitaine story comes from, how the family got their titles, who was in America during our Revolution in the French forces, the first transgender case, Titanic lines, Michael Collins, etc. Always looking for new info, but need to close this project down (although trip to Bordeaux in fall will connect some French Dillons and mean more pages). Would love to contact Patrick, too. I live in Ireland and have traced my family back to 1800, where Patrick Dillon was living in Co. Kildare, widowed, with 6 children. There also seems to be some connection to the Mansfield family, whose grandmother was a Dillon. From this Dillon, the line can then be traced back to 1185, where it seems a Henry De Leon was secretary to King John. I have come across a monk’s version where it goes further back to Brittany I believe, and from there back to Ireland in 800’s??? But the monk seems to be the only source of this part of the story. Darryl – would be interested in anything you may have that might tie in with my family?? First names have little bearing on surnames, therefore disgard. In Co Cork Allen is not English, although it may occasionally be so. The English Allens are usually Bretons anyway. Allens = Ó hAilín (aka Hallin, East Tipperary, NE Cork), Ó hAilgheanáin (aka Hallinan, W Tipperary, Waterford), Ó hAilgheain (Cork, Kerry). My family names in Ireland were Beatty and Armstrong who it seems were in the borders between Scotland and England and given the choice of prosecution or Ireland chose Ireland. . Grahams too seem to be from Scotland. The Layngs we are told came over with Cromwell and the St Lawrences I have yet to track down. The family in some part seems to have been in Ireland since the 1660’s. Fascinating stuff. Hi Mike, Love your info and photos! Any idea about the Henehan family that left Co Mayo for Chicago in the 1880s? Thanks so much! Apart from the name being from Mayo – not much more. It can also be anglcized as Bird. It may be an idea to check the online (free) census for 1901 and 1911 to check for relatives. Make sure you cover the spellings Henaghan and Henihan. Mike. Heneghan of Co Mayo has many variant forms including Bird. Gaelic Ó hÉineacháin from older Ó hEidhneacháin. They are a clan of Uí Fiachrach origin, recorded as ‘one of the tribes of Bredagh’. Hi Joe – both are kind of true. Broderick in Ireland comes from Ó Bruadair – which a Gaelic name derived from a norse first name. I’m not quite sure what the meaning of the Norse first name is – so you could be right! Mike. NO. Broderick, Ó Bruadair, from a Norse personal name Broddr. Broderick = Ó Bruadair of GALWAY, Ó Bruadair of CORK, KERRY, LIMERICK, Ó Bruadair of KILKENNY, Ó Bruadair of DONEGAL, Ó Bruadair of WEXFORD, Bruaidric a Welsh name in east Ulster. ALL DISTINCT/UNRELATED. Interesting Peggie – as Langan comes from the Irish for Long/tall! Langan would be a very unusual name in Cork – more a name for Mayo and sometimes Armagh. If you are uncertain about him being born in Cork, it may be useful to continue your search in those counties. All the best – Mike. NO, Ó Longáin comes from a rare personal name, Longán, derived from Gaelic long meaning ‘ship’. Hi, I believe you had once explain my fathers name Madden from the Galway area..my mothers side I am a bit more confused on everything the family says they were from the South of Ireland but originally came from the islands between Scotland and Ireland, possibly Scotland. When I look up that name it’s days its an English name. Then there’s the matter of my first name, Caithleen, is that spelling an Irish spelling? Hi Caithleen – the O’Maddens were an important family in east Galway – but I cannot tell from your comment what your Mothers name was. On Caithleen – its a bit of a hybrid! We callit Kathleen in English in Ireland and Caithlín in Irish in Ireland. Mike. Firstly there are two clans anglicised as Madden. Yes the Maddens of Galway are the most numerous, Ó Madáin, but those a little further north in Mayo and Sligo are really McAvaddys, Gaelic Mac an Mhadaidh, SO..if you are from north Co Galway be careful!The Irish for Caithleen/Kathleen is Caitlín (pronounced Katch’leen) not Caithlín. Hi Mike, I have always loved a challenge and that trait stands me well as I try to trace my roots in Ireland! Of all the Irish names in my background the one that intrigues me the most is Killoughy or Killoughey. It is a rare name and when I find it I feel a great deal of satisfaction knowing my persistence has paid off. I saw an article that indicates that in 1856 (I think) there were 6 or 8 households with this name. All of them located in Co Westmeath. I find my roots in Killkenny West in the area of Killinure when Judith Cormac married Micheal Killoughy. Michael was born in 1839 the son of Patrick Killoughy. So apparently the name Killoughy traces back to at least the early 1800s. Can you shed some light on the origin of this name? Love your site and find it informative. Thanks for your efforts. Hi Marge – you have me there! I know the placename of Killoughy in County Offaly. But the name – when I check the 1901 census, there are only 4 people in the country with that spelling. My guess is that its a version of a more common surname – but I just cannot see it at the moment. Mike. “So apparently the name Killoughy traces back to at least the early 1800s”…….WELL, it actually goes back much further, hundreds of years further. A Co Clare clan, Mac Giolla Luachaire! Nothing to do with Killoughy in Co Offaly. I’m guessing this means my last name originates from my ancestors being displaced from their land? Looking forward to learning more! Hi Thomas – Noland/Knowland is a variation of Nolan – found in counties Westmeath and Longford. Mike. 1. Ó Nualláin of CARLOW, N GALWAY, LONGFORD, WESTMEATH. Originally of Forth, Co Carlow. 2. Ó Nualláin of CORK, KERRY. 3. Ó hUallacháin of ROSCOMMON, aka Houlaghan). 4. Ó hUltacháin of FERMANAGH. Mike, would you know anything about the surname “Cubbard”? It appears to be restricted to Galway west. I read that it possibly derived from the Saxon “Cuthbert”, and was originally located in the Claddagh section of Galway. That would be the extent of my information also William. All the best – Mike. An English name of long standing in Co Galway, especially around the Claddagh area. Derived from Saxon Cuthbert. Gaelic form is Ó Cubaird. Your post is very interesting. I have located the Mulroy part od my family (they came fron Straide, Co. Mayo. I also have the Murphys and the Devines. My gr-gr- Granparents were John and Mary Murphy, and because their names are so popular, I am having an impossible time finding out where they were from. The only information I have is that they had a son (my gr-grandfather) named Nicholas b. 1842, who came to the USA in the late 1860s. With the Devines I know nothing. My gr-grandfather was James J. Devine and only know his parents lived in Ireland. Hi Patricia – the Devines were an old Gaelic family from County Tyrone/Derry originally. All the best – Mike. 1. Ó Daimhín of FERMANAGH, later (late 15th C) settling in DERRY & TYRONE. 2. Ó Dubháin of CORK, KERRY, LIMERICK. My mom has always told me that her entire family came from County Mayo. I know this is true of my maternal grandmother’s family as she was an O’Malley; however, we also have Flood, Devaney, and McAfee ancestors who migrated here. I was under the impression–although my elderly mother won’t even CONSIDER it– that “McAfee” is from Scotland, but I was told when I was in Ireland in June that McAfee is from Ulster. Are you able to help me? By the way, will there be another “Gathering” year? Hi Maureen – McAfee is originally a Scottish name that is found in County Donegal mostly. On the Gathering – I think there are plans to repeat occasionally. All the best, Mike. McAfee is found more numerous in County An trim and County Derry, Northern Ireland (Ulster). McAfee is interchangeable with McDuffee in both Scotland and Northern Ireland. They can be found in Islay, Jura and Colon say prior to migration to Ulster. McAfee is indeed SCOTTISH GAELIC, Mac Dhuibhshíth. Sometimes horribly corrupted in Scots to Mac a’ Phí. If it helps, although regarded as Scottish, they are infact of much older Irish origin being part of the Síol Ailpean tribe. I’ve traced my ancestors named Weir to County’s Cavan and Monaghan from around 1835. Im thinking it may be English or Scottish origin – any thoughts? Hi Michael – Weir can be of English and Scottish origin OR it can be the English form of the Irish surname Mac an Mhaoir which comes from County Armagh. Mike. Thanks, so would it be fair to say I wont be able to narrow it down to any particular line, ie gaelic, planter etc or do you think it could be a mix of differnet lines? Michael. Hi Michael – it could well be a mix of different lines, just unlikely to be a mix of different Weir families (statistically!). All the best, Mike. 1. Mac an Mhaoir, of ARMAGH. 2. Mac an Mhaoir, of WESTMEATH. Those are all close to Co Cavan. Only DNA will sort it out. Hi Earl – welcome and thanks for the feedback. Kirkpatrick is typically a Scottish planter name (named after the Scottish place) found in Ulster. Mike. A lowlands Scots Gaelic clan, a sept of Colquhoun. Irish Gaelic Mac Giolla Phádraig, Scots Gaelic Mac Gille Phádruig (reverse the mark over the ‘a’). Nolan mentioned elsewhere on this site by me. Boylan is Ó Baoighealláin of FERMANAGH. Shannon, if you are married to a Boylan you are Uí Bhaoighealláin. If you are a daughter of a Boylan you are Ní Bhaoighealláin. Can you tell me something about Fogarty and O’Brien? Fogarty = Ó Fógartaigh. A Dalcassian clan of Co Clare. ÓBrien!!! really! One of the most famous and written about Irish clans. I’m surprised that folks still require info on them. Anyway, Ó Briain, decended from King Brian Bóraimhe (Boru). A Dalcassian clan. Therefore Fogarty and O’Brien share a common heritage/ancestor. Great article, but I was wondering if you could shed some light on my surname, Norris. As I understand it, the surname was used by Normans when referring to Vikings from Norway. So I was wondering if this makes the name a Norman or a Viking surname? Did any Vikings take it and use it or was it only used by the Normans? If so, how and when did it start being used as a surname and who by? PS – I’m Irish, born and bred in Kildare and have tried to trace the name back, but could only get back to around 1800 and it was still in Kildare. NOT Norse/Viking/Norman. Its an English surname derived from Old French noreis meaning ‘northerner, from the north’ which possibly suggests an ancestor being a Norseman. Gaelic Noiréis. Strain is Irish. Originally of Co Donegal. Later they were scattered from their homeland and is now more common in ANTRIM, ARMAGH, DERRY, DOWN. Gaelic Ó Sruitheáin. 1. Welsh, in CLAREGALWAY, MAYO. Gaelic Seoighe. 2. Breton in CORK, KERRY. Gaelic Seoghas. Gilmartin = FERMANAGH. Gaelic Mac Giolla Mhártainn. A branch of the powerful O’Neill clan. My family name is Mathews emigrated from County Tyrone in 1830 or 31. Is this a planter name or does it have deeper Garlic roots? Thanks in advance! Love this article! Not sure about Garlic roots but certainly Gaelic roots! 2. Mac Matha of DOWN (Scots). 3. Mac Mhathain of DOWN (Scots). 4. Mac Maitiú of MEATH (English). 1. Ó Cearnaigh of MAYO. 2. Ó Cearnaigh of CLARE, TIPPERARY. 3. Ó Catharnaigh of MEATH. 4. Ó Ceithearnaigh of CORK. You must work very hard to gain all the knowledge you have about Irish names. I actually grew up in Dublin and emigrated to the USA as a young adult. The name Gibney was not very prolific in Ireland when I was there and, even though I have made contact with a couple of Gibneys here, I can’t find any connection with them. Am I right to assume that the name Gibney is from Meath or Westmeath? Gibney, Gaelic Ó Gibne (married female Uí Ghibne, unmarried female Ní Ghibne), is a small clan who had territory on the AVAN/MEATH border. Some have become Gibson. My Gibney ancestors came from Co Tyrone. They were not very prominent there either. As far as I can tell they were mostly Church of Ireland. I’ve narrowed their origin down to the parish of Termonmaguirk during the first half of the 1800s. They emigrated to Canada about 1847. Just wondering if anyone else had connections. My Great-great-grandfather, Patrick Gibney, was born in County Longford about 1828. Married Margaret Dunn of County Cavan , emigrated to the US at an unknown date. My Great-grandfather, Patrick Augustus Gibney, was born in Baltimore in 1857. My father’s family Madden came from Killimor in Galway. My mom was a Hughes from Armagh. My Irish family surnames are Hynds and Robinson. Do you have any clue where those surnames originated? I don’t know where my family lived in Ireland, but the Hynds arrived in the US about 1870 and Robinson in 1890’s. Thanks! Hynds is a variant of O’Heyne, a clan of Co Galway. Robinson is mostly Scots Gaelic Mac Roibín, Scots Gaelic Mac Raibeart (McRobert) or sometimes English (gaelicised as Mac Roibín). My last name is McGillivray and I heard that it was a combination of both Irish and Scottish names. Is this true? SCOTTISH, Mac Gille Bhrath. However, it has been in Ireland since the Plantation. Hi,not much luck on tracing the origin of my surname ‘Rath’ be grateful for any information you have. Thank you. EASY. Its Irish, named from one of the many raths in Leinster. Gaelic de Ráth. English. Of obvious meaning, however it was also given as a nickname for one acting like a priest. Gaelicised as Príost. 1. Ó hAilche of WATERFORD. 2. Ó hÉilidhe of MAYO, SLIGO. 3. Ó hÁinle of LIMERICK. 4. de hÉala. English, rare and scattered. My Grandmother was from Co. Mayo and her maiden name was Burke. Her mother had red hair so are we Viking or Irish? IS THIS A REAL QUESTION? Burke is a Norman surname of Mayo, Gaelic de Búrca. Irish people have red hair (44% are carriers). Very little red hair in Scandinavian countries, usually fair or blonde. YOUR RED HAIR CAN COME FROM ANY OF YOUR ANCESTORS! Do you know the origin of Bowes (variants Boes, Bos). Originated in Clones, Monoghan but oral history states that we originated in Scotland, prior to our arrival in Ireland. Would we be ‘planted’, Ulster Scotts? A bit confused as we are Catholic and have been since at least the late 1700’s. Many origins. However Bowes isnt really Scottish but I suppose it could be a variant of Boyce. This would indeed be rare. 1. Ó Buadhaigh of KILKENNY, LONGFORD, WATERFORD, WEXFORD. 2. Ó Buidhe of LAOIS, TIPPERARY. 3. Ó Buadhaigh of DERRY, DONEGAL, LEITRIM, MAYO, SLIGO (possibly yours). What has eluded me is the Death surname from England. I have researched family ties to O’Dea, and the Geary (O’Gara) from Ireland. My great, great Grandfather came over from England in and around the 1900’s his surname was Death. He di not like it and while residing in Pennsylvania he added the “r” to make it Dearth. Do you have any info that could point me in the right direction to research my unusual family surname? English, of various origins and meanings. Some are from Aeth in Belgium (de Aeth), some derive their surname as a pageant name. In Ireland since the Plantaion. Gaelicised as de Áth. there is a Connor in the final version pdf that you can downlad for yourself – tell us if this is your man. It is in Cavan County though. Hi Mike! You mentioned one of your readers Patricia Clark had included the name Rafferty. I am a Rafferty descendant. I’m assuming because that name wasn’t talked about, we weren’t Vikings. My family was the 1st Rafferty family in America from Donegal. It was exciting to see the name and perhaps Patricia is a cousin. Appreciate your help and work here, thank you. I am enjoying your blogs, Mike. My mother’s family was from Donegal as well – the O’Donnells. Do you have any information for the surname ¨Madigan¨ ? Ó Madagáin, a branch of the Maddens of Co Clare/Galway. My great-grandparents on my mother’s side were from Mayo and Galway. Not sure who was from where though. Her name was Staunton and his was Walsh. I’ve had people over the years tell me neither one is truly Irish. 🙁 Do you have any info on this? Many thanks. Both Cambro-Norman. In Ireland since 1200’s, both adapted to Irish laws, customs, language and formed into Gaelic clans. As Irish as Guinness now! My great grandfather spelled his name Worrell and my Grandfather, I guess, changed the spelling to Worrall. I know my grandfather was born in Mt. Ruby, Mallow, Cork but I wonder where my great-grandfather came from. Any ideas? I’m thinking England. My grandmother is a totally different problem. We have evidence her family was here in Canada in the late 1700’s -maiden name was O’Hara. Worrell/Worrall is English. In ARMAGH, DOWN usually. Gaelicised as de Bhóral. Hi James, my apologies but I’m only a part time family historian. There are a number of Worrall/Worrell/Warrell families in Ireland. The Worralls in Limerick (arrived in the 1690s), Worrells in Laois (arrived mid- 1600s) and Warrells in Fermanagh/Donegal. Spelling of the name did not and does not reflwect the family, unfortunately. At times when education was not generally available, names were usually spelled according to accent, pronunciation and the education of the registrar. Anyhow, John Worrall, son of John & Elizabeth Worrall, was a doctor in Adare, Co Limerick. He married Eliza Brinsley in Silvermines, Co Tipperary on July 24, 1850 and had a number of children, one of whom, Mary, married William Cooke in Dublin on January 19, 1887. Another daughter, Margaret, died in 1882. She was aged 30 and unmarried. John’s mother, Elizabeth, died in 1839 and was buried in the family vault in Killaloe Cathedral, Co. Clare. I am not related to the Clare/Limerick Worralls but I have seen a reference to an Eaton John Worrall who married a Sarah Corneille in Limerick in 1808 and a separate reference to an Eliza Worrall from Adare who married James O’Connell in 1828. A witness to this marriage was Philip Corneil. Hi, Mike! My maiden name is Egan. Original spelling was Eagan, from County Carlow. Can you tell me more about the meaning and origin of Egan? Thanks! Gaelic Mac Aogáin, earlier Mac Aodhagáin. Meaning son of Aogán/Aodhagán, a personal name meaning ‘little Hugh’. A clan of Uí Maine origin belonging to the Ormond country. My husband’s name of Steer has been said to be of Viking descent. Can you substantiate that? Also, his mother’s maiden name was Patterson. Any information on her name would be appreciated. Steer is NOT VIKING. Its English. An occupational name. 1. Mac Phádraig of ARMAGH, ANTRIM, DOWN. Scottish lowlanders. 2. Mac Giolla Phádraig of ANTRIM. Scots Gaels. 3. Mac Pheadruis of ARMAGH, DOWN. aka McFetridge. Scots. 4. Ó Casáin of GALWAY, ROSCOMMON. Irish. 5. Mac Pháidín of DUBLIN, MEATH. Norman. Last name of Dooley… actual Irish? Just found this website and I love it! Hoping to locate my husband´s ancestors in Ireland that migrated to Canada; O’Neil, O’Brien, Collins, Madigan. Were there many O’Brien’s in Limerick in the early and mid 1800s or do you think it was more of a port of migration? What about the other names? Where they scattered around Ireland at that time or still in the original areas ? Do you have info on the surnames Gill, Hawkins, Robinson, Ballard? My paternal grandparents were Horan and Healy and my maternal grandparents were Sheehan and O’Boyle and all were from Kerry. Castleisland, I believe. Anything? They also had children christened in Rathmore with Hovanol and Kilcommin, Kerry, Ireland. I have seen an 1835 surname map that had the Sheehan’s living just over the border in Limerick co. Many of the Sheehan marriages and birth records show Murphy, Connor, Callaghan, Leary, Guiny, Galvin , Sullivan and others. Hi Mike! Love the site! I’m wondering if there might be anything about my family surnames of Finney, Littlejohn and Murdoch. Where would the name Hughes be from? My maiden surname was “Cathey”, which I think goes back to the Scottish McFie. Is that correct? I know “Buck” is English as my (ex) husband is from the UK. Mike; I would like to know anything you can tell me about the name Keoughan. My ancestorPatrick Keoughan, left Ireland in 1835-6 ti emigrate to Canada. He was born 1797 and was married to Mary Casey. He was a roofer by trade. Hi! My great grandfathers last name was also Keoughan! Migrated to Canada as well, I would love to know he origins of the name! Hello, I’ve been told that the name Maguire could come from Spaniards of the Armada, but wonder if that’s just a legend? mmmmmm! I wonder sometimes where these stupid stories come from. Oh, and while we are on the subject the term BLACK IRISH does NOT refer to Spanish! Maguire is an IRISH clan of FERMANAGH. What exactly is “Black Irish” ? Myers is a variant of O’Meere, Gaelic Ó Midhir, a clan of Co CLARE. It is NOT Scots-Irish as there is no such thing as Scots Irish. This term has no relevance and is NOT used in Ireland. Do you mean Protestant settlers, of Scots origin who left from Ireland? If so, they are either Scots Gaels (same as their Irish brothers and sisters) or they are Lowland Scots. If an ancestor came from Scotland and settled illegally on Irish land for one, perhaps two, generations and then left or America, that does not make them Irish or Scots-Irish. If one of your ancestors settled (illegally)in New Mexico or California for a few years and then moved to Boston, New York etc, are they Mexican-American? My mothers family name was Byrne from Wexford. Where did this surname originate from Mike? Ó Mathúna, a clan from the Barony of Carberry, of ancient Eoghanacht stock. MUNSTER. Johnston is that of 7 unrelated Scots clans but has also been used for Irish McKeon of south ARMAGH, McShane of TYRONE. Occasionally English in Ireland. 1. Lowland Scots. Gaelic Mac Anndra. 2. Scots Gaelic. Mac Gille Anndrais. Anciently of Irish origin. 3. Occasionally English. Gaelicised as Mac Aindriú. Yes, my surname is on here! A known variant of Irish Scally. Edgeworth is English. Gaelic form is Éiseabhort, they have been in Ireland since 1583 first settling in Co Longford. Do you have any information about the Harding family from Cork? It sounds like this might be an English name? I am having trouble getting much information from my research. Ó hAirdín of LIMERICK, TIPPERARY, NORTH CORK. English in Ireland since 1400’s. 2. Ó hArtáin of CAVAN, LONGFORD, ROSCOMMON. 3. Mac Dochraigh of ARMAGH, FERMANAGH. Hello, thanks for all the interesting history. Few appear in Irish surname lists. Thoughts? 1. Bugle is a variant of Scots Bogle, Gaelic Boglach. 2. Leddy is Irish, Ó Lideadha of DOWN. Another unrelated Leddy clan of CLARE, TIPPERARY. 3. Comiskey is Mac Comascaigh of MONAGHAN. 4. Fanning is Norman in KILKENNY, LIMERICK, TIPPERARY. Gaelic Fainnín. Ó Fionnáin of MAYO, ROSCOMMON, SLIGO. Ó Finnghin of CARLOW, KILDARE, KILKENNY. 5. Donovan is Ó Donnabháin of CORK, LIMERICK, KILKENNY. Most are of that origin. Some are Ó Donnamháin od south CORK. 6. Meldon a variant of Muldoon. Three distinct clans of FERMANAGH, CLARE, GALWAY. My grandparents’ surnames were Cregan and Deviit, both from County Limerick. Any information on those? 1. Mac Riagáin of LEINSTER, MUNSTER. Variant of Creegan. 2. Ó Croidheagáin of CONNACHT. 1. Mac Daibhéid of NORTH GALWAY, MAYO are a branch of the DONEGAL mcDaids. 2. Mac Daibhéid, Possibly Norman around SOUTH CLARE, TIPPERARY. Hi Mike, I believe my Rutherford ancestors lived in Sligo and Lietrim, Manor Hamilton. but heard that long before they came from Scotland? Also, my Lahey relatives are believed to be from Ireland, but I can not confirm from which part. Any help would be appreciated. Rutherford are Scottish and possibly of older Flemish origin. 1. Ó Laochdha of MUNSTER. 2. Ó Laithimh of south CONNACHT. English. A rare IRISH surname of long lost and unknown English origin. It of course means ‘English’ Gaelic form is Aingléis from French anglais, so its possible that it could have a Norman twist. RARE. English also stands for Gallogly, Gaelic Mac an Ghalóglaigh of ANTRIM, ARMAGH, DERRY, TYRONE. Togher is Ó Tuachair. Two distinct clans, one of KILDARE/OFFALY the other of WEST ULSTER & MAYO. My 4X Great Grandfather came here around 1850. I believe he was born in Cork County. His surname was TROY he married a woman who’s surname was ALLEN. I believe ALLEN might have been from Wales though. I haven’t been able to find any records of either until then came to the United States. Do you have any general information on either of those surnames? Allen has been discussed elsewhere on this site. 1. Ó Troighthigh of south TIPPERARY but spread out to N CORK, LIMERICK, LAOIS, WATERFORD. 2. Ó Toráin of N CONNACHT. aka Thoran. 3. de Tróighe of KILKENNY. Norman. My grandmother was Emma Carey (1876) from Fermoy; her mother was Mary Ryan and father was Edward Carey. From what we can gather, his father owned the “Careysville House” in Fermoy. It’s so difficult to find continuous history on the family as our understanding is that Edward’s father disowned him when he married Mary Ryan who was Catholic and Edward was from the Church of Ireland. Any information on this family or suggestions would be greatly appreciated. mmmm. A GENERAL COMMENT HERE. VIKING SURNAMES AND DNA MAKE UP A TINY TINY TINY AMOUNT OF IRISH SURNAMES. GREENE WAS NOT/IS NOT/NEVER WILL BE VIKING! The Gaelic for the colour green is glass. There are 16 distinct origins for the surname Greene in Ireland (most contain the element ‘glas’), too many to detail here. Contact me if you want more info. Many years ago I read that “Fitz” meant “illegitimate son of” and I wonder if this were true or a mean anti-immigrant/conqueror propaganda. Your opinion will be valued. Thanks. oh dear! Its amazing how much nonsense and bad info there is out there. Is the internet to blame?…were any person can tell the world his ‘truth’? Fitz derives from Norman/French fils meaning ‘son, son of’ therefore cognate with Gaelic mac. Enjoyed your post. My surname was Lang from Scotland or Ireland. Can you tell me anything about it? Thanks so much! Like most surnames in Ireland and Scotland, there are often more than one distinct origin. Therefore do not assume every Lang is related and ‘of the same blood’. 1. A Scots polygenetic surname meaning ‘long, tall’. Gaelic Mac Gille Fhada. ARMAGH, DOWN. 2. Scots Ó Loingeacháin, of ancient Irish origin. ARMAGH, DOWN. 3. Ó Fhlainn, of MAYO, SLIGO. A variant of Flynn. GILLEY We have been told for generations that we are Irish. In the little research I have done, I believe we came from the Isle of Wight. Any clues if that makes me Irish or French as the French would take control of the Island about every other decade? Any clue you can give me would be very much appreciated. Thank you. GILLEY is usually Irish in Ireland. A variant of McGilly, Gaelic Mag Coiligh, MONAGHAN. Very occasionally English derived from a pet-form of Gillian or Giles. Gaelic Gilidh. Great information you have provided us. Thank you. I would like to ask about the Viking name of McLaughlin, for which I am one. Have you ever seen it spelled differently? It’s confusing to me how almost every name in my family heritage is spelled differently. For instance, Flanigan, Flannigan, etc. McEllin that is now spelled McLain, at least this is my understanding. Mac Sheey and if it’s related to Sheehan? Thanks for your input! I love your site. PLEASE NOTE……McLaughlan is NOT VIKING! END OF. McLaughlin, McLaughlan, McLoughlan, McLoughlan, McLaghlan, McGloughlan to name but a few variations means ‘son of Lochlainn’. Yes, in Gaelic Lochlainn means ‘from the land of lakes/fjords’ but in this case it if simply a personal name. If you call your daughter India is she Indian? If you call her Savanna does she come from Africa? If you call you son Montgomery is he from Montgomery in Wales? etc etc. McSheey is a variant of Sheehy and NOT related to Sheehan. I should add that McLaughlan are from Co Donegal and their DNA proves they are Irish. I would like to ask if you could tell me about the Corbett, Sheehan and Carey surnames? I have been able to find my ggg grandparents Timothy Corbett and Catherine Sheehan , born in Boherbue, Cork and also found in Rathmore, Kerry. My great great grandmother Helen Carey is a brick wall as she was born on a ship coming to New York from Ireland…and having no information about her parents or siblings…she may remain a brick wall for quite some time. Any assistance is greatly appreciated!!! I would like to ask if you might a Sheehan in your ancestry? I have a Catherine Sheehan who married a Timothy Corbett , and they were born in Boherbue, Cork between 1810 and 1815, They also had children christened in Rathmore, Kerry. An 1835 surname map shows Sheehan’s in county Limerick just over the border from county Kerry. Their daughter Catherine married Francis East…and their daughter Mary Agnes East married Alfred Elsworth Figg Sr. in Louisville Ky in the early 1880’s . Alfred and Mary Agnes Figg are my great grandparents. Mike, thank-you! This was a very useful post. Can you tell me if another surname of Galloglas descendants is Gillogly? Gillogly is a variant of Gallogly, Gaelic Mac an Ghallóglaigh. IRISH. Cassity is a variant of Cassidy. A FERMANAGH clan. My Gr grand mother was a “Cowan of County Down” descendants of several brothers who came to the USA and helped settle in the area of Daniel Boone , etc…….married a Wyatt…and their daughter married a Lanham -my mom was a Lanham. For the most part they have all claimed us to be primarily Scottish and Irish. Can you shed light on that? Are the surnames Keating & Fay of Viking heritage? 1. Céitinn, NORMAN/WELSH. SOUTH LEINSTER. 2. Mac Céitinn, NORMAN. ANTRIM, DOWN. 3. Ó Céataí, of Dál gCais origin (IRISH). CLARE, LIMERICK. 4. Ó Ceitín, of Eoghanacht origin (IRISH). S CORK. 1. de Fae/Faedheach. NORMAN, CAVAN, WESTMEATH. 2. Ó Fathaigh, CLARE, GALWAY. IRISH. 3. Ó Féich, ARMAGH, FERMANAGH, MONAGHAN IRISH. KEATING & FAY VIKING? NOPE! Hello I’m curious about my family name of Dyer.I know we have a settelment in ky but am more concerned about where we hail from.sone say english some scottish but the prob is nobody know my great grandfathers full name & dob.so my link is lost.any help would be apreciated! 1. Mac Dubhuidhir aka Dwyer. IRISH. ROSCOMMON, SLIGO. 2. Mac an Dathadóir. ENGLISH. ANTRIM, ARMAGH, DOWN. 3. Mac an Tuigheadóir. CORNISH. Means ‘thatcher’. RARE. My grandfather was born in Tenisilatty (sp?) on the Rower, in Kilkenny. His last name was Lyng. There are Lyngs still there and across the river in Wexford. There seem to be Lyngs in Norway, and my mother has been told that the name might be a Viking attempt to pronounce Flynn. Any thoughts on the name? Are you able to find where the surname Sowney might come from? We are at a loss to where to look for birth records..
Sowney is a Co Cork surname. Gaelic Samhnaidh, they are a branch of the McCarthys of Cork. Hi, Mike i have quite a varied Irish heritage as both my mum and dad are Irish my dads side is Bergin born in Waterford, and my mums side is Delaney in Tipperary and Coleman in Limerick. My family name is Henry from Cloonown, Athlone,Co, Roscommon we were told it is of Scottish origan. Do you know any information on how they came to Ireland. Unless you have solid proof of a Scots origin, I wouldnt say so. 1. Mac Éinrí of GALWAY. aka McHenry. IRISH. 2. Mac Innéirghe of LIMERICK. aka McInery. IRISH. 3. Mac Éinrí of CONNACHT, WEXFORD. NORMAN. 4. Mac Éinrí of DERRY. IRISH. 5. Ó hInnéirghe of TYRONE. IRISH. 6. Ó hAinniaraidh of LOUTH, MONAGHAN. IRISH. 7. Mac Eanruig. Scots aka Henderson. ARMAGH, DOWN. Henry in Athlone of Scots origin? Unlikely unless you have evidence. 4. Mac Annraoi. English. rare. How about the surname Scally? Typically, I find Scallys in Roscommon, sometimes Antrim… Thanks! According to Swyrich Corporation the name Hassett came from Scotland in the Middle Ages as Viking Settlers. It was listed on the Hall of Names. First off…Hassett is NOT recorded by Black ‘Surnames of Scotland’. 1. Ó hAideadha, Dalcassian (IRISH) of CLARE, GALWAY, TIPPERARY. 2. Sometimes a shortened form of Blennerhasset, Gaelic Blinearásat, but very rare. KERRY. but graves in Nice, France dating to 1600s have two BEHUNIN grave markers. Long before the supposed name change. Any help would be appreciated! My Grandfather who was born in Ireland was William George Vance. Would like to learn more. I come from the Sullivan, Clarke and Brogan groups. The Sullivan man who immigrated to the U.S. Had a given name of Michael. There is a snowballs chance in hell of tracing that family. Is there anyway to be connected to the Patricia at the top of this article. I’m searching for both Leonard (Tyrone) and Byrnes (Monaghan) in my family. Thanks. My gr grandmother Margaret Coleman (Colman) was from County Antrim I believe. She came in the mid 1800s to either Canada, or the state of Vermont in US. Is Coleman (Colman ) a common Irish name? would love to learn more . COLEMAN is a common Irish name with 5 distinct origins. Hi, can you give me anything on the surname Mathews or Broughon? NOT O’Gilliland. Its a ‘Mac’ name, a variant of McGillinan, Mac Giolla Fhaoláin. Hi my surnames are Dugan from Clare, Clifton of Cork, Scanlon of Cork, Meehan of Dongal, Gallagher of Donegal, Cody of Clare and Mcdermott of Galway, Mcnarmara. My husband has O’ Dea. My family come from Killaloe,Clare.The earliest I have been able to trace back is around the mid 1700’s.During the mid 1800’s most of the Winnett’s had left for Canada,or as in the case of my GGgrandparents ,Australia.No one seems to know where the name originated from in Ireland.The surname has disappeared from Ireland now,or at least as far as I can tell. ,appearing mainly in England to this day.Some say we are of Hughenout descent or came with Cromwell ? Winnett of Killaloe are English. (www.winnettorigins.com) descended from John Winnett (b.1740) and ‘setted’ in Clare before 1766. Gaelic form is Uinnéid. I had my uncle George Murphy’s DNA traced and he is in the line of Murphy’s that where in the same DNA line as the Kavanaghs can you tell me where in Ireland our family could have come from. We are having a big block in tracing the family tree. 1. Caomhánach, of SOUTH LEINSTER. Most Kavanaghs are of this origin. 2. Mac an Mhanaigh, of ANTRIM, DERRY, E TYRONE. aka McCavana. 3. Mac Géibheannaigh, of S ARMAGH, FERMANAGH, LEITRIM. aka Keaveney. 4. Ó Ciabháin, of KERRY. aka Keevan. 1. Mac Murchú, of ARMAGH, TYRONE. 2. Mac Murchaidh, of ARMAGH, FERMANAGH, TYRONE. Branch of Maguire so NOT these. 3. Mac Murchaidh, of EAST ULSTER. Scots so NOT them. 4. Ó Murchú, of WEXFORD. 5. Ó Murchú, of CORK, KERRY. Offshoot of Kinsella so NOT them. 6. Ó Murchú, of south DONEGAL. 7. Ó Murchú, of ROSCOMMON. 8. Ó Muirthe, of Kildare. I’ll let you work it out but most likely youre Murphys are the clan of Wexford. Kavanagh are big here too. I’m interested to know the origin og my family. I have a great grandfather FLOOD who married a McLaughlin…not sure of spell8ng. Where did the 2 names hail from originally? too general to know. There are 6 distinct origins for Flood in Ireland although most are Ó Maoltuile of SOUTH CAVAN, LONGFORD, WESTMEATH. I was wondering about the names STANTON & GOULDING from ROSCOMMON & GALWAY. Also the names CLEARY & GLYNN. they are my grandparents names. They immigrated in the 1920’s. there are 29 distinct clans Anglicised as Kelly! Since you have been so generous with answering surname questions, here’s mine. My great grandfather’s surname was Mangham, Manghan, or also spelled Mongham. They even spelled it Mengham on the ship he immigrated to the US on. I have not been able to find the county in Ireland that he came from since he went to Lancaster County, England before coming to America. Any ideas? Thanks. Mangham and Manghan are variants of Mangan, Gaelic Ó Mongáin. Three distinct clans of MAYO, LIMERICK and TYRONE. Four Dale brothers left Ayr about 1690 to fight in the Williamite War. They settled in four different counties in Ulster. My own line came to Canada in 1817 from Co. Derry. The Scottish Dales are a distinct line from the English Dales. I think the name is of Norse orign. For a short name, it seldom comes up in any genealogical discussions. Scots Dale is a polygenetic surname from MANY local places called Dale ‘a valley’. 1. Ó Dathail, LIMERICK, TIPPERARY became Dale. aka Dahill. IRISH. 2. Mac Daill, scattered and very rare. IRISH. Harnett is not O’Hairtneada but Ó hAirtnéada of north west Co CORK. Do you have any information about the surname Mulcare, or Mulcair, or Mulcaire? My family was from the Limerick area. Ó Maoilchéire, of LIMERICK originally but now more common in Co GALWAY. It means ‘descendant of the follower of St Ciara’. Ó Tuathail, O’Toole of MAYO are DISTINCT. An offshoot of the O’Malley clan. The caln are named after someone called Tuathal in the 1200’s or later. Tuatha de Danaan are a legendary group of early settlers of Ireland, pre-Christian. More than 2,000 years difference in time. NO CONNECTION other than both Tuathal the personal name and tuatha mean ‘tribe, of the people’. Are all men called John related? My family is from Omagh, so no doubt of the Irish heritage. However, you very rarely see our name spelled this way. Any idea why? because thats how it sounded to the record keepers, somewhere. My hhusband’s surname is Cawthra. .all I know is that his father stated it is Welsh Old English in origin..can you help us pin the origin down more conclusively? No one ever mentions Clohesy! Ó Clochasaigh, of Co CLARE. My maiden name is Bailey and I am confused as to whether it is Irish or English. My father’s grandmother was a McKee, am I right in assuming that is Irish as well? 1. English. Gaelicised de Báille. ‘bailiff’. In Ireland since 13th C. SCATTERED. 2. Scottish. Baillidh. In Ireland 17th C. ANTRIM, ARMAGH, DOWN. 3. Ó Baothghaile, of E SLIGO, N MAYO. IRISH. 1. Mac Aoidh, of ANTRIM, ARMAGH, DOWN. SCOTS. 2. Mac Aoidh, of SE DONEGAL, FERMANAGH, LEITRIM. IRISH. hi, can you tell me a bit about the name Connor and Carrol . Family belief is they came from County Clare in the mid 1800’s have trouble finding out. I have run across a lot of Connor people in looking for my Sheehan and Corbett people in Boherbue, Dromtariffe, county Cork and in Rathmore with Hovanol and Kilcommin in county Kerry. Great article. What is the name Brosnan? Have traced most of my family lines back past 1800. Whitelaw, reynolds, madden, march. But my last name Eyre. William eyre we are having trouble tracing his movements and birth. 3 generations after him including him also where all worked as “Tailers” in Birmingham an further north. I’m wondering if maby they come from Scotland or Ireland for work. ?? McGivern is NOT ULSTER-SCOTS. Theres no such thing. You are either Irish or Scots. Mag Uidhrín/McGivern is IRISH from ARMAGH, DOWN. I noticed the name Lappin in Irish history being viking. My German heritage can be traced back to the 600’s AD in Swabia via online info. More recently in Hesse Castile.The Lapp name in Germany is a trade name meaning garment mender.On a Scythian web site the name Lapp is a trade name meaning a tent maker who gave that name to Reindeer herders on the Russian steps who called themselves something like Summi or Sumeratians..On that Scythian web site, variations of Lape, Lupp, Leap, Lepper,Leip were all various qualities and types of tents. My understandings of scandinavian names is that many have double consonants like PP, LL, RR, etc. Question… Is their anyone with the Irish name of Lappin with knowledge of what that name means? OH DEAR, not again. LAPPIN IS NOT VIKING. Its a Donegal surname, Ó Lapáin meaning ‘descendant of Lapán’, a rare personal name meaning ‘little fist/paw’. Hi I an really interested in knowing where the surname Hannigan came from. Anytime I research the name it always says the samething that it is Irish. Every website says its only origin is Irish. But I have been to Ireland many times and its so uncommon. Kind of started believing its just a made up name. Any help or clue would be appreciated. Other wise I’ll just tell people its a made up name and I got no clue where it came from. It is Irish but possibly only since the early 1600’s – likely scenario is that it means “son of Johann” and comes from Germany with movements caused by the reformation. Arrivals are in Waterford and Derry – with distribution remaining in an arc around those two ports….Dublin with 50% of the national population is the only other concentration of Hannigans. All of this is mostly conjecture – very little evidence to back up much of the theories about the Hannigan name. Hannigan is Ó hAnnagáin. Two clans, one of Corca Laoighdhe origin seated in Co LIMERICK. Second are in Co TYRONE. Meaning ‘descendant of Annagán’ a rare personal name. NOTHING, NOTHING, NOTHING to do with Germany, oh dear. I have to wonder where these things come from. Anyone think the Hannigans are Vikings??? The name is rare and very specific to two ports. My family are Donegal but from Derry – I think this roll from 1663 gives a bit of clarity. Patrick Hannigan – Planter and not Irish. We spell our names in Irish as per your note – but I am pretty certain that the names are not related. ooops – forgot the file. Wonderful site. I enjoy reading about all the different surnames, but I’m mostly interested in mine, of course! My maiden name is Graven. Dad’s people are from County Down we’ve been told. I once had an Irish history professor tell me that its very old Irish. Is there anything else you can tell me about the name Graven? Thanks so much. Any information on the name Cassity. My dad traced it back to the 1600’s from county fermanagh. I have yet to see his findings. What about the names O’brien and White? Grandparents Hooley,Neville, & Mahoney . County origins? 1. Uallach, of CLARE, GALWAY. Means ‘proud, boastful’. IRISH. 2. Ó hUallaigh, of DOWN. 1. Ó Niadh, of CORK, LIMERICK. aka Nee. IRISH. 2. Mac Cnáimhín, of CLARE. aka Nevin. IRISH. 3. Neibhíol, of KILKENNY, WEXFORD. English. Mahony = Ó Mathúna CORK, KERRY. Hi Mike: Do you know anything about the surname Egan? Can’t find much information on it. What a fabulous and interesting website! I’m searching for any trace of Timothy Irvine or is it Ervine?(Erinvine??) near Ballyclare in County Antrim. His sons, David and Andrew came to Canada in early 1800’s; married to Beggs sisters, also of County Antrim. Apparently there was an Erinvine (Erenvine??) in the court of the Scottish King, MacBeth. Others have suggested the name migrated from Spain to Ireland and then to Scotland, although my ancestors left from Ireland. The name “Timothy” is also a puzzle as neither Andrew or David appears to have bestowed that name on any of their sons, contrary to the common practice at the time, although children in both families often bear the same name. (What’s up with that- did they run out of names??) Grateful for any help or suggestions..thanks! Hello, Mike – such interesting information! Our family included FitzRandolph and, more recently (1800-1900s), Flanagan. My husband’s last name is Owens, which I thought was Welsh, but I’m not sure. Do any of these names fit in the Viking ancestry realm? Do you have any info on Feehan from Cork? I have run across some Feheen and Fehane records in my research on my Corbett and Sheehan lines in boherbue and Dromtariffe, county Cork and in Rathmore, county Kerry. Both sides of my family immigrated from Scotland (Lanarkshire) in the 1920’s. I can trace my Mums family to Scotland in 1840. Their name was McGraw which I understand to be Irish. I took a DNA test which revealed 69% Irish ancestry which was quite a surprise as it was never mentioned by my elders and were fiercely Scottish.. A couple of questions. Do you do gemology research for payment ? What county in Ireland would they have originated from ? They were Protestant so I would suspect somewhere in Ulster. Thank you for your time and consideration. Look forward to hearing from you. McGraw is IRISH. Four unrelated clans. 1. Mac Raith of DONEGAL. 2. Mac Raith, of S FERMANAGH. 3. Mac Raith, of TIPPERARY, CORK. 4. Mac Raith, of W CORK. Hello Mike, My G’ma Sarah Grant came from Hilltown County Down- Her father was a Grant and her mum was a McCarthy which may have been spelled differently in Ireland. Would you happen to know if they are from Scottish or ?? descent. Thank you. 1. Grannda, of ARMAGH, DOWN, DONEGAL. SCOTS. 2. Mag Raighne, of DERRY, DONEGAL. IRISH. 3. Mac Gránna, of ARMAGH, DOWN, S TYRONE. IRISH. 4. Mag Raighne, of CARLOW, KILDARE, WICKLOW. IRISH. 5. Grónta, of KERRY, KILKENNY, WATERFORD. English. The last name Keith originated in early Scotland. Family history however tells me that many of my ancestors came over to the US by the way of Ireland. Is there any information about this apart from the stories that go around my family? Surnames on my family tree are: Flanagan (Kilkenny/Waterford/Upper Third, Barony of); Casey (Co. Tipperary); Maher (Co. Tipperary); Bellamy or Bentley or maybe hyphenated (Manchester ? ); Rush (Ballyvaughn, Co Clare); Page (England); Shaw (Scotland). Unfortunately due to ”mixed marriages” along the way we are missing lots of information however I know that persistence will win out. My gr-gr-grandmother was Johanna / Joanna Conner or Connelly or Conroy married Christopher Flanagan in Tallow, Co. Waterford in 1839-40. If you have no idea what county your forebears came from, start by researching your surname. Surnames are often a clue to what part of Ireland they may have come from. Any info on the Dalton ? Our branch likely came to Ireland with the Normans. My family is from the Golden Vale near Counties Kilkenny, Tipperary and Waterford. We’re originally from the Midlands. The Dalton’s were the Lord’s of Rathconrath in County Westmeath. Hi. I was wondering if there might be a possible chance of what clans me and my boyfriend’s last name belong to. His last name is Timms, but he is trying to find his 5th or so great grandfather who’s surname is O’Brian. And I would like to know what my last name, Worrells, is from. Worrells is a variant of Worrall, an English name. Timms is English also. how about Ray? I’m assuming its originally Scottish? And my wife is dyer. English? 1. Ó Riabhaigh, of ANTRIM, ARMAGH, DOWN. aka Reavey. IRISH. 2. Ráthach, of ANTRIM, ARMAGH, DOWN. SCOTS. 3. Mac Raith, of ANTRIM, DERRY, DONEGAL. SCOTS. 5. de Rae. English. Rare in Ireland. 1. Mac Cú Uladh, of ANTRIM, ARMAGH, DOWN. IRISH. 2. Mac Cullaich, of ANTRIM, ARMAGH, DOWN. SCOTS. 3. Mac Lulaich, of ANTRIM, ARMAGH, DOWN. SCOTS. Dyer mentioned elsewhere in this website. I have just discovered I am 13% Irish. I am so excited. I have gone back to the 1700’s and can’t find when there was a migration from Ireland to England. The names are Love or Mather. Interested in finding out where in Ireland my family originated. Can you help? 1. Mac Raith, of DOWN. aka McGrath. 2. Ó Gadhra, of N MAYO, S SLIGO. 3. Ó Stóirín, of GALWAY. Ó Meachair, of OFFALY, TIPPERARY. aka Meagher. Good day to ya Mike, can you tell me anything about the Savage family in Ireland? Mac an tSabháisigh, a Norman name, ANTRIM, DOWN, KILKENNY. 2. Ó Sabháin. CORK, KERRY, LIMERICK. aka Savin. She saw a show, did lots of shopping and had a glorious time sightseeing. There is a small section with the kid’s only activities. There are several suggestions to enjoy your winter vacation. From Drumgoole, Co Louth. Very rare. Gaelic Dromgabhail. Hi my surname is Hurley! Id like to know where it comes from? I live in Cork and my family came from West Cork originally! What about the Romans when they came? Did they not leave names or have an impact? No Romans in Ireland Lori – that we know of – Mike. I was not sure if they had gone up into Ireland or not. I knew they did in England, but since they are so close together…Thanks! Oh please! The Romans didnt come to Ireland! NONE. The Domesday Book records it as Ellesmere, formerly Ellesmeles. My dad said in a book his teacher had, it said the origin is Norse. It would mean Aella’s (a King of Northumbria) sandbank, or Elm sandbank in Norse. I’ve also read from other online sources it’s Old English, Anglo-Saxon, and another said it’s Gaelic, along with their etymological explanations. The port of Ellesmere is in Cheshire, which once had a large Norse settlement in the Wirral Peninsula. There’s also a town called Ellesmere south of the port in Shropshire, bordering on Wales where it was also once Welsh land. Any information or clues are greatly appreciated! My father’s last name was McElhaney. I’ve done loads research and believe the family name is from Donnegal, Ireland. But I can’t seem to find a tartan or who’s clan they were apart of….some say Cambell some say Cameron . I know they were a subclan but there is very little out there about the McElhaney name and history. If anyone can shed a small piece of light on the name, that would be great! Re……If you took all the Gaelic Surnames out of Ireland – what would be left?………………..the surnames of people who came here and finally succeeded in wiping us all out as was their original plan. Things didn’t go to plan………………and our surnames have survived. However we are now surrounded by the descendants of those who despised us for centuries……….but they love being Oirish now. Very trendy being Irish these days. This was quite interesting for me, especially since a few of my surnames were discussed in the story or the comments, including Lappin, Rafferty and Madden. My Maddens were probably from Roscrea, Co, Tipperary, the others Co. Down. My family name is LEONARD we have traced it back to Ó LEANNÁIN. From what we have researched our family came from Co. Cork area and possibly Co. Galway. What would be our family name origins or have we gotten it right? Some have said possibly Norse–Gaels; Gall-Ghaedheil/ Gall-Ghaeil. I don’t believe this. Thank you in advance. Read your post tonight. Any one in your family do a yDNA study. Would like to see if matches me. Found this tonight and know its a bit of an older post. Am from a Leonard line and have DNA studies and a terminal SNP indicating a R-Z20655+. My earlier Haplogroup was a R-M269 before the terminal SNP study. I have been told that is a “growing “older” SNP line that may be the Uidhir branch point–possibly a Scot to Irish break point too. Has anyone in your Leonard line done a DNA study? Hello, I hope you can satisfy my curiosity about family names. My father’s family is Vaughan, from southern County Fermanagh, near Cavan border. My mother’s family is McCleery (sometimes spelled McCleary) from southern Tyrone, near Monaghan border. Both families are Church of Ireland, both resided in the same place at least back to mid 18th century. I have often wondered about our family name (Tracy) but don’t see it discussed here. My name is Michael Harry Tracy (born in West Bromwich, England) to Harry Alfred Tracy at the end of WWII. My Dad was born in Nogales , AZ, following WWI. My dad’s father (Harry Aloysius Tracy) was born in Patterson, NJ, but he took his mother’s maiden name following her divorce. I believe her married sir name was Bentley. Any light you can shed on the origin of “Tracy” would be appreciated. By the way, my mother’s English family names are Whale and Beckett. My surname is Leach. My family settled in the Carolinas among the Scottish Cape Fear Clans. We have always supposed that we are Scottish, but here is the glitch my Y- chromosome is N1c1. Viking? My DNA haplogroup on my father’s side is DF 85, northwest Ireland. My 8th great grandfather’s last name that emigrated from Wales is Price, we know we are not Welsh but Irish, can you suggest where the Price name originated from exactly in Northwest Ireland? My mother’s family name “Hendrick” was thought to be German, but the 1880 census showed my last traceable Hendrick ancestor in the US claimed his father was born in Ireland. If so he would have been born around 1775 to 1785 and I think that means Wexford County Ireland. I haven’t been able to confirm the location though. Do you think I’m correct on the location? Traced my great grandfather John McCall to county Monaghan where he married Alice McCarvel. But can’t find a thing where he was born or anything about any other McCalls. I have had people tell me that McCall is Scottish and he must have come from Scotland. McCall doesn’t seem to be a very popular name in Ireland. Can you help me on the origin? My grandmother is from Ireland the name is Elizabeth Hines,My grandfather name is Sam Cox I believe from England.Is Hines German name? Thank you for describing the various origins of Irish surnames. This has been most helpful. Never heard it explained so succinctly.